As demonstrated here... Dutch Babies are pretty easy to make. 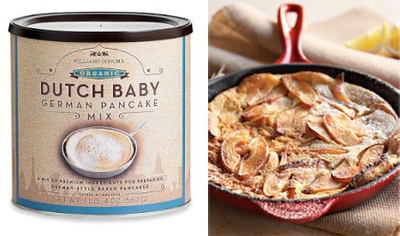 But I thought I should point out that Williams Sonoma sells an organic Dutch Baby mix now. I like mine with berries and cream, but the apples look good too.